"The Information War Between China and Japan: Has there been a ceasefire in the Propaganda battle?" Friday 14th September, 11:30-13:00 (new! ), S3.32 room. "The Queen (Victoria), Vegetables and Umbrellas- The Emergence of the Localist Movement in Hong Kong since the 2000s"
Panel 25, Friday 14th September, 9:00-11:00, K2.40 room. Hong Kong (HK)- once the ‘Crown’s Last Jewel’- was handed over to China in 1997. Since then, it has been embroiled in rigorous debates over its relationship with mainland China. According to a survey conducted by the Chinese University of HK in June 2017, 30.2% of the population were dissatisfied with the state of ‘One-Country Two Systems’ in Hong Kong (as opposed to 38.7% who were satisfied), with 11.4% supporting outright Independence after 2047. The emergence of the localist movement is a relatively recent development. Localism first emerged about a decade ago (in the Star Ferry Pier and Queen’s Pier relocation disputes), grew in the 2010s through movements like the ‘Defend the Tsoi Yuen (Vegetable Farm) Village’ protests, and prospered after the Umbrella movement in 2014. There are numerous literatures on the topic, including Lo, ‘HK’s Indigenous Democracy’ and Kaeding, ‘The Rise of “Localism” in HK’. This paper seeks to compliment those works by analysing the movement from a discursive perspective. It would employ a mixed methods approach combing content analysis (of over 230,000 newspaper articles), elites’ interviews and participant observations. Given the scope of the presentation, this paper would focus primarily on the three critical junctures. It would analyse the emergence of the localist discourse in the pro- democracy movement in the late 2000s, its evolution in the 2010s, and its consolidation (in becoming a major political cleavage) after the umbrella movement. The presentation would conclude by producing a snapshot on the current state of the localist movement. Title:"Compare the Senkaku sea area in two kinds of East India maps"
Keynote Speakers: Carrie Gracie (Former China Editor for the BBC) and Jie Yang (Associate Professor of Anthropology at Simon Fraser University). 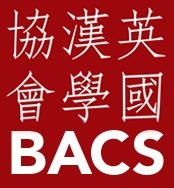 The Lau China Institute is pleased to announce the Annual Conference of the British Association for Chinese Studies (BACS), to be held at King’s College London from 12th to 14th September 2018. The BACS Annual Conference is open to BACS members and non-members alike, welcoming participants from all countries.